Vladimir Prelog – Croatian-Swiss organic chemist. 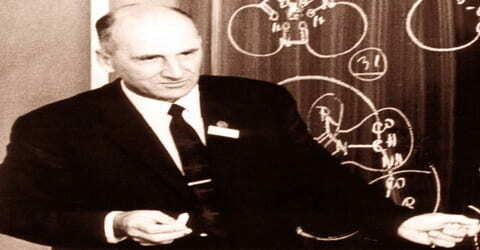 A Swiss chemist who shared the 1975 Nobel Prize for Chemistry with John W. Cornforth for his work on the stereochemistry of organic molecules and reactions, Vladimir Prelog was born on 23 July 1906 in Sarajevo, Condominium of Bosnia and Herzegovina, at that time within Austria-Hungary, to Croat parents who were working there. 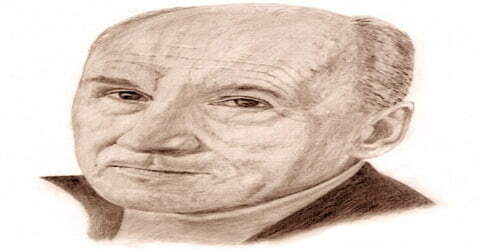 He lived and worked in Prague, Zagreb, and Zürich during his lifetime. Prelog was highly influenced by the work of scientists like Emil Votoček, Lavoslav Ružička, Robert Robinson, and Christopher Ingold. During his childhood, he had to move places several times, including Zagreb, Osijek, and Prague. Having received a doctoral degree from the famous ‘Czech Technical University’ in Prague, he ventured into the field of organic chemistry, focussing primarily on antibiotics and medical drugs. From an employee of a pharmaceutical company, he soon became a professor and then the Head of the Laboratory in the ‘Swiss Federal Institute of Technology’. He continued working on his theories, making breakthroughs with British chemists Robert Sidney Cahn, and Christopher Kelk Ingold, developing a new system of determining the structure of stereoisomers, and naming it the ‘Cahn–Ingold–Prelog priority rules’. Extensively helped by mentor Lavoslav Ružička, this chemist opened doors for Switzerland, in the field of organic chemistry, becoming a Nobel laureate at the age of sixty-nine. He continued research on stereoisomeric molecules present in organic compounds till his death and is hailed by many as the pioneer of stereochemistry. Swiss chemist Vladimir Prelog was born to Milan, a history professor, and his wife Mara Costello on July 23, 1906, in Sarajevo, in Bosnia and Herzegovina, then under the Austro-Hungarian rule. Prelog attended elementary school in Sarajevo, but in 1915, as a child, Prelog moved to Zagreb (then part of the Austro-Hungary) with his parents. In Zagreb, he graduated from elementary school. At first, he attended gymnasium in Zagreb, but soon afterward, his father got a job in Osijek, so he continued his education there. He spent two years in Osijek gymnasium, where he became interested in chemistry under the influence of his professor Ivan Kuria. In 1922, his first study in chemistry was published in the German science journal, ‘Chemiker Zeitung’. Two years later, in 1924, Prelog graduated from school and began pursuing a diploma in chemical engineering from Prague’s famous ‘Czech Technical University’. Prelog received his doctorate degree five years later, in 1929, under the guidance of Czech chemists Emil Votoček and Rudolf Lukeš. After several years in a commercial laboratory, Prelog began teaching at the University of Zagreb in 1935, first as a lecturer and later as professor of organic chemistry. In 1942 he joined the faculty of the Federal Institute of Technology in Zürich, where he served as head of the laboratory of organic chemistry from 1957 to 1965. He became a Swiss citizen in 1959 and retired from teaching in 1976. The famous chemist Vladimir Prelog got married to Kamila Vitek in 1933. The couple had a son Jan (born 1949). An intellectual with a wide cultural background, Prelog was one of the 109 Nobel Prize winners who signed the peace appeal for Croatia in 1991. Vladimir Prelog wanted to work in an academic environment, so he accepted the position of lecturer at the University of Zagreb in 1935. At the Technical Faculty in Zagreb, he lectured on organic chemistry and chemical engineering. With the help of collaborators and students, Prelog started researching quinine and its related compounds. He was financially supported by the pharmaceutical factory “Kaštel”, currently Pliva. He developed a financially successful method of producing Streptazol, one of the first commercial sulfonamides. In 1941, while at Zagreb, Prelog developed the first synthesis of adamantane, a hydrocarbon with an unusual structure that was isolated from Moravian oil fields. In 1941, after World War II began, Prelog was requested by Austrian-German chemist Richard Kuhn to deliver a lecture in Germany. During the same time, the former was also invited by Lavoslav Ružička, who was one of his mentors. Taking advantage of the invitations, Prelog fled to Zürich, Switzerland, where Ružička and the pharmaceutical company ‘CIBA Ltd.’ helped the budding chemist get a job at the ‘Swiss Federal Institute of Technology’. Prelog was able to separate the chiral enantiomers of Tröger’s base in 1944 by chromatography on an optically active substrate. With this chiral resolution, he was able to prove that not only carbon but also nitrogen atoms can be the chiral center in a molecule, which had been speculated for several years. His relationship with Ružička helped him climb up the academic hierarchical ladder. Starting as an assistant, he became Privat-Dozent, Titularprofessor, associate professor, and in 1952 full professor. Prelog did this by using the chromatography technique for separating mixtures proving that the belief about carbon atoms being the only constituents of chiral molecules was inadequate. He stated that even nitrogen atoms could comprise the center of a chiral (non-superimposable mirror image) compound. During his time in Zürich, Vladimir Prelog researched more on natural compounds than purely chemical substances, constantly changing his methods to suit the need of the times. He conducted extensive studies on antibiotics like ‘boromycin’, ‘rifamycin’, and ‘nonactin’. He became quite popular as a stereochemist, one who studies atomic structures of molecules in detail. Prelog was most interested in the isomeric molecules, known as stereoisomers, present in organic compounds. In 1944 at the ETH, Prelog managed to separate enantiomers with “asymmetric” trivalent nitrogen by column chromatography at a time when this method was still in its infancy. His work on medium-sized alicyclic and heterocyclic rings established him as a pioneer in stereochemistry and conformational theory and brought an invitation to give the first Centenary Lecture of the Chemical Society in London in 1949. He synthesized medium-sized ring compounds with 8 to 12 members from dicarboxylic acid esters by acyloin condensation and explained their unusual chemical reactivity by a “nonclassical” strain because of energetically unfavorable conformations. He also contributed to the understanding of Bredt’s rule by showing that a double bond may occur at the bridgehead if the ring is large enough. Prelog’s Rule In 1950 Prelog came upon a 1936 review by the British stereochemist Alexander McKenzie concerning the reactions of esters of phenylpyruvic acid and chiral alcohols with Grignard reagents. The chiral alcohol moiety induces chirality in the atrolactic acid obtained after final saponification but the correlation between the sign of rotation of the resulting acid and the configuration of the chiral alcohol was not clear. Reasoning on the basis of molecular models, Prelog concluded that alcohol A would give rise to the known (R)-(-)-atrolactic acid and B to the (S)-(+) enantiomer. This hypothesis now called Prelog’s Rule agreed with the configuration of those alcohols that had been independently established and allowed predictions for other alcohols of hitherto unknown configuration. This remarkably reliable though empirical rule pointed the way for similar configurational correlations for other types of compounds. In 1954, Prelog was assisted by British chemists, Robert Sidney Cahn, and Christopher Kelk Ingold, in an endeavor to create a method using simple rules to determine stereoisomer-structures. The three chemists named the descriptors ‘Cahn–Ingold–Prelog priority rules’, which helped them, define the structure of any isomeric molecule. In 1957 Prelog succeeded Ružička as head of the Laboratory. Since Prelog disliked administrative duties, he implemented rotating chairmanship in the ETH. Prelog joined the ETH at the right time since Ružička’s Jewish co-workers left the country and went to the United States, so Prelog filled the vacuum they left. Throughout his career, Prelog researched on stereoisomers, organic molecules and the ways they react. With more than 400 published scientific works, this exceptional scientist established Zürich as one of the most important centers of organic chemistry. Vladimir Prelog was elected a Foreign Member of the Royal Society (ForMemRS) in 1962 for his contribution to the development of modern stereochemistry. 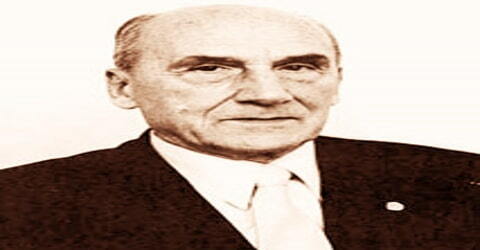 In 1964, Prelog was awarded the ‘Marcel Benoist Prize’ for his invaluable contribution to organic chemistry. The prize is often known as the “Swiss Nobel Prize”, and is awarded to scientists living in Switzerland. Three years later, in 1967, the ‘Royal Society of London’ presented this remarkable chemist with the ‘Davy Medal’, in recognition of his outstanding discovery in the field of chemistry. The ‘University of Zürich’ felicitated Vladimir with the ‘Paul Karrer Gold Medal’, in 1974, for his research in chemistry. Vladimir Prelog received the 1975 Nobel Prize in Chemistry for his research into the stereochemistry of organic molecules and reaction, sharing it with the Australian/British research chemist John Cornforth. In 1986, Prelog became an honorary member of the Yugoslav Academy of Sciences and Arts. 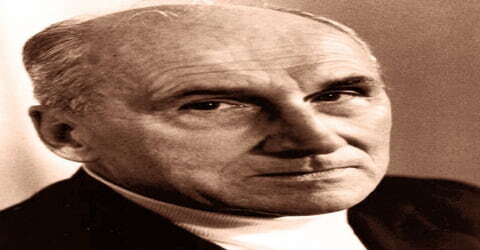 Vladimir Prelog died in Zürich, on January 7, 1998, at the age of 91. An urn containing Prelog’s ashes was ceremoniously interred at the Mirogoj cemetery in Zagreb on 27 September 2001. In 2008, a memorial to Prelog was unveiled in Prague. Vladimir Prelog performed wide-ranging research on the stereochemistry of alkaloids, antibiotics, enzymes, and other natural compounds. In particular, he contributed to the understanding of stereoisomerism, in which two compounds of identical chemical composition have different, mirror-image configurations (like a person’s right and left hands). With Robert Cahn and Sir Christopher Ingold, he developed a nomenclature for describing complex organic compounds. This system, known as CIP, provided a standard and international language for precisely specifying a compound’s structure.